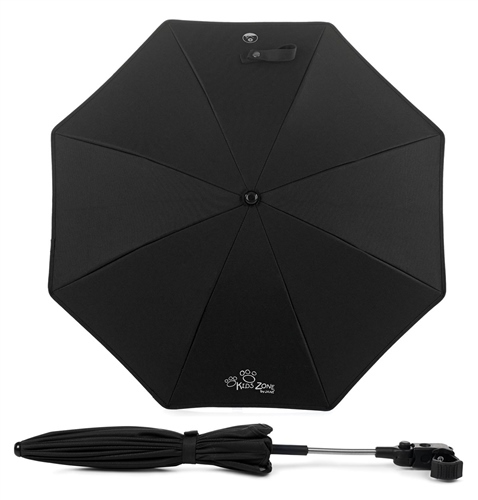 This isn’t just any parasol, it’s a sunshade that is made of materials especially designed to offer unique protection against ultraviolet rays, both UVB and UVA. It has a protection factor of 50 , the highest factor that material can reach. Universal flexi clamp with ratchet and rubber strap insert to accommodate different thicknesses of chassis. Please note: the graphic / motif may change from time to time from that illustrated. Very good product and great customer service!